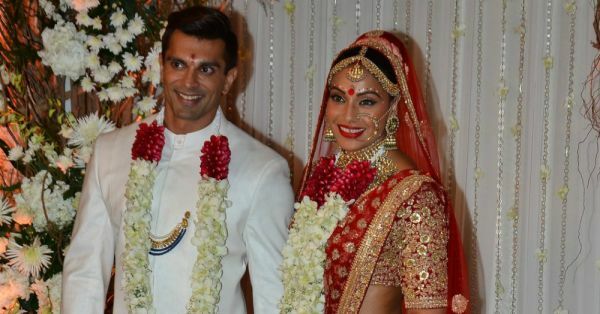 5 Bollywood Brides Who Wore *Red* For The Wedding! You may love it or maybe not, but you just can’t ignore the favourite bridal colour - red! While most brides today are breaking away from tradition and indulging in newer, fresher colours like blush pinks and elegant beiges, many of our Bollywood brides chose to stick with fiery red. And, of course, they nailed the looks! Here are our favourite Bollywood brides in red bridal lehengas. Girls, this is the only inspiration you need! 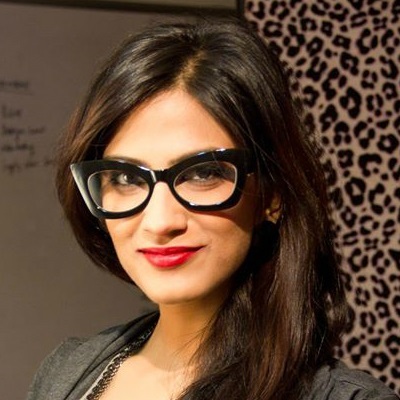 Salman's baby sister sure loves the colour red. 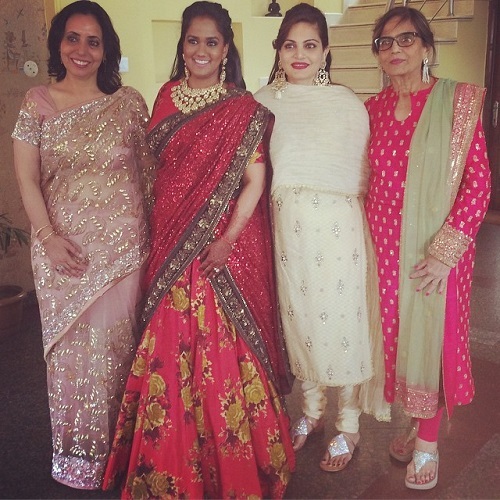 For both her wedding at the Taj Falaknuma Palace in Hyderabad and her reception in Mandi, the bride chose to wear red. And out of the two looks, we just can’t get over this gorgeous Sabyasachi creation she wore at the reception. The floral motifs on the lehenga and her sequinned dupatta with the signature Sabyasachi border are such a stunner. In fact, paired with a second dupatta, it would make for a showstopper bridal lehenga too! For their Maharashtrian wedding, Genelia wore a gorgeous red Neeta Lulla saree. An exquisite orange-gold kundan border and a gold embroidered blouse completed her look. The Bollywood cutie even sported a Maharashtrian nath and the traditional mundavalya (string of pearls) on her forehead. Image: iKarmik on Instagram Featured Image: Viral Bhayani HAVE A STORY IDEA FOR POPxo? If you want to hear about it, we can write about it! Just tell us your idea here! MUST-READ: 7 Brides Who Wore The Most *Stunning* Reception Gowns! 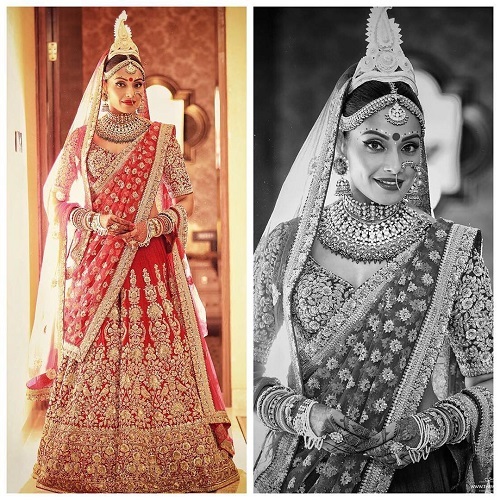 MUST-READ: 6 Brides Who Wore Lehengas That Can Actually Be Worn Again!